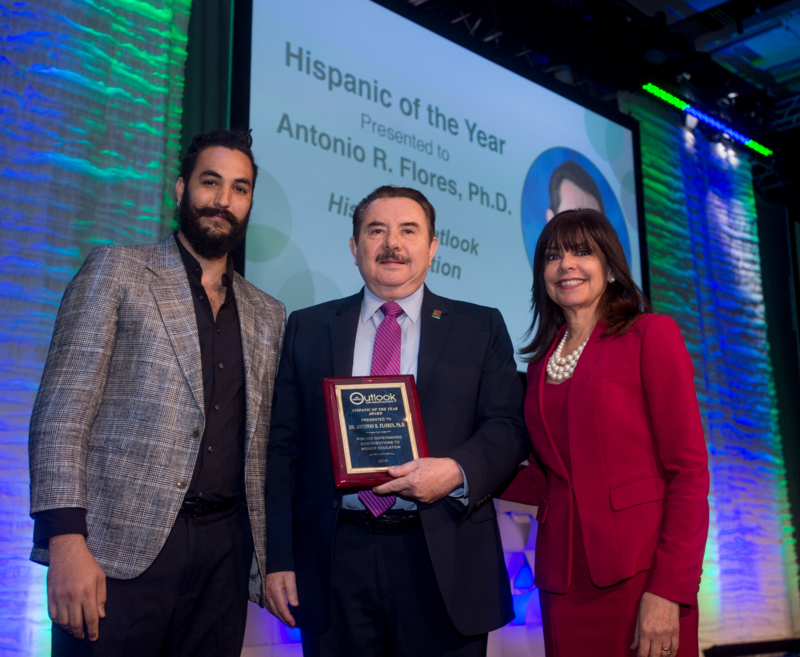 Hispanic Association of Colleges and Universities President and CEO Antonio R. Flores was recognized for his leadership on behalf of Hispanic-Serving Institutions during the Power Lunch of HACU’s Annual Conference on Oct. 7, at the Atlanta Marriott Marquis. Ricardo Castillo of Hispanic Outlook in Education, HACU President and CEO Antonio R. Flores and HACU Governing Board member, Maria Harper-Marinick during the “Hispanic of the Year”Award presentation on Oct. 7 during the Power Lunch of HACU’s Annual Conference. Flores has served as President/CEO of the Association for more than 20 years and is the Associations’ longest-serving president. During his tenure, the Association has nearly tripled its members and its budget. 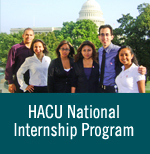 HACU has expanded its programs three-fold, significantly improved legislation for HSIs, increased annual federal funding for HSIs from $12 million in fiscal 1995 to $267 million in in FY 2018. Flores is nationally recognized leader for his work within the Latino community and higher education.